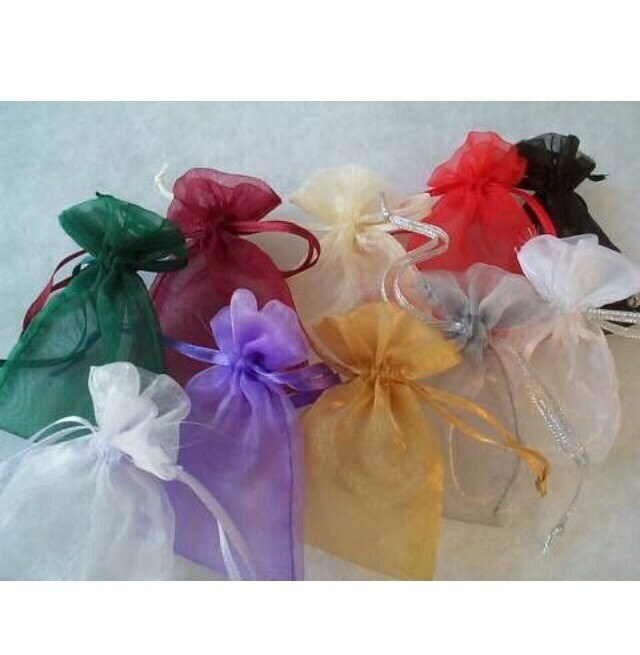 This beautiful set of necklaces makes a wonder gift for bridesmaids, sisters, sororites, and friends! 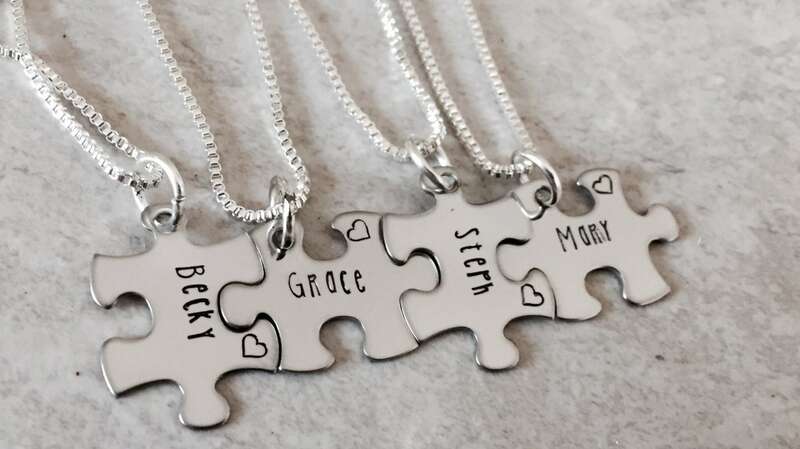 Includes as many necklaces as you need--please use the drop down menu provided to select the amount of necklaces and chain types you would prefer. Please note the quantity and chain type when selecting how many necklaces you need in your set. Shown as "1 piece, ball chain" will mean 1 necklace, with a ball chain. 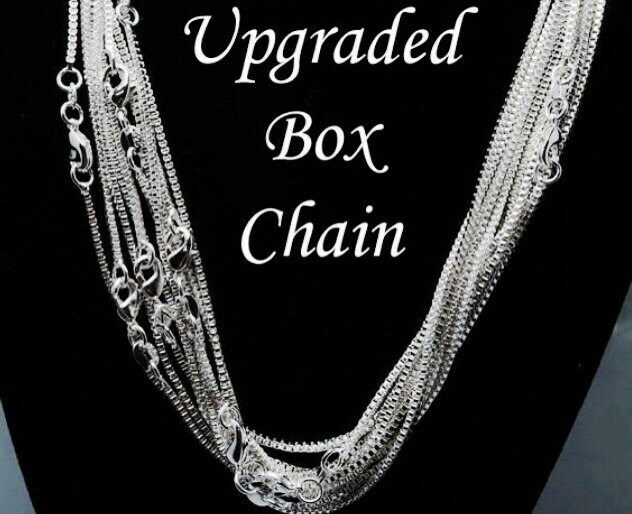 or "2 pieces, box chain" will be 2 necklaces with box chains, etc. If this seems confusing or you have questions, please don't hesitate to reach out to me. 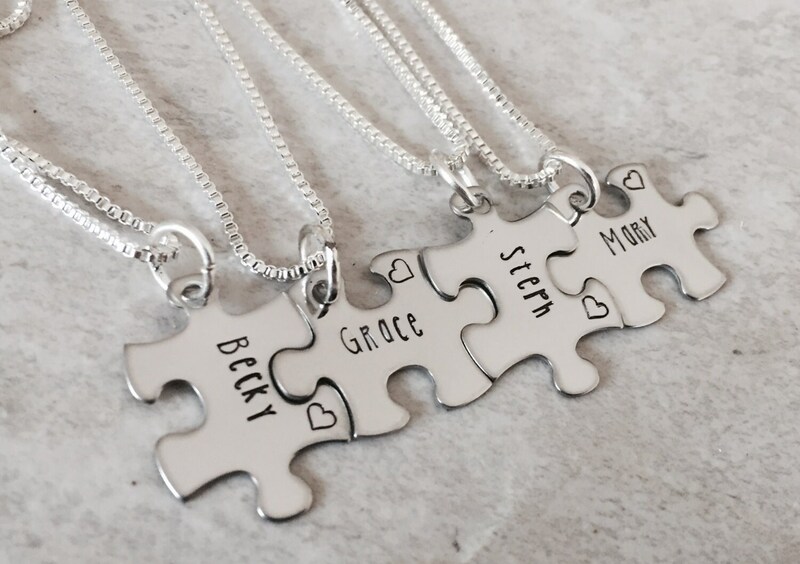 The puzzle pieces measure 1" at their widest point. Upon check out, please use the "notes to seller" box to relay personalization details to me. The necklace is shown in the description photo with the box chain. ****if you would like to purchase more than 20 necklaces, please send me an etsy message about pricing details.